Blogger and long-time sports enthusiast Kritika loves travelling, so she and a few friends took some time off to travel a little to the north and a little to the east. 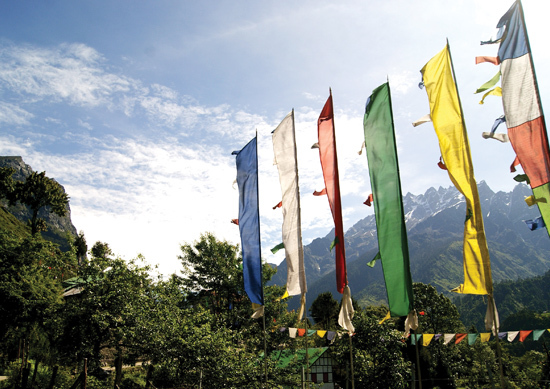 Keep reading to find out more about their sojourn into one of India’s most gorgeous regions. I went on this vacation with six friends, and we picked our destinations based on where everyone was keen to visit. We did a lot of reading and research on each place before we narrowed down our choices. 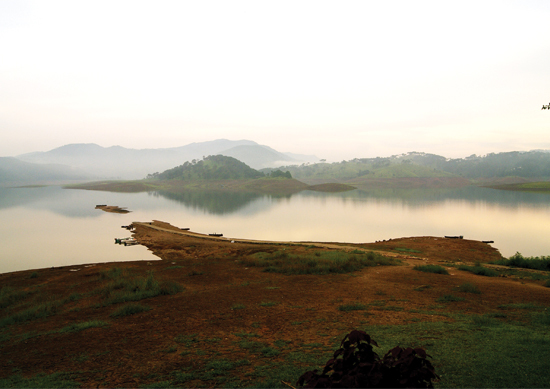 Since there is an unimaginable amount of natural beauty in Northeast India, we had to plan carefully. We ultimately chose a handful of what we thought were the best possible places along our route before heading off to Guwahati, Shillong, Cherrapunji, Gangtok, Lachen, Lachung, Gurudongmar Lake, Nathu La Pass (the Indo-Chinese border) and Darjeeling. Of the many stunning sights we witnessed, one of the most special was Barapani, or Umiam Lake. It was gorgeous and unlike anything I’d ever seen before. The view of the entire landscape here was awe-inspiring. Another such experience was the route to Cherrapunji, where we found ourselves literally in the clouds. We also took a memorable trip to the border of India and China. It was exciting to see China just a few feet away, just on the other side of the border. It was quite amusing to see a Chinese soldier taking pictures of tourists on the Indian side. On our way to Darjeeling, we sighted the peak of Kanchenjunga – what a marvellous sight it was! It seemed almost surreal at first. 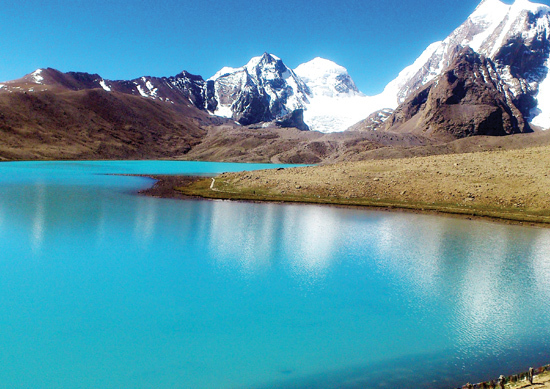 Gurudongmar Lake was another spectacular visual. Still water surrounded by snow-clad mountains – quite a spectacle. Although the drive is a tough one, it’s worth it when you finally spot the lake. Though we did and saw so much on our journey, we still missed out on a few things. Because of a landslide the previous night, we couldn’t visit Yumtang Valley and Zero Point in Lachung. I was keen on visiting Kaziranga National Park, too, but it was unfortunately closed. It shuts at the end of May, and I missed out by a few days! Then again in Darjeeling, due to the incessant rain, we couldn’t see Kanchenjunga’s peak from Tiger Hill. 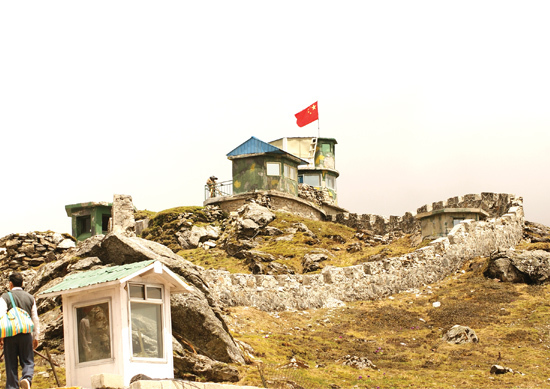 Two of the other places on our wish list were Pelling and Tawang, but we couldn’t fit them into the packed itinerary. I plan to go back for all of this – and more – as soon as I get the chance. But the scenery and vistas in this region are surreal. The drive along the Teesta from Jalpaiguri to Gangtok was fantastic – the morning view was stunning. Even the fog that ran along the river was breathtaking. We stayed at local hotels picked after reaching our destinations. The culture in Northeast India is quite different from much of the rest of the country. Since tourism is big there, almost everything has a commercial aspect. As for the cuisine, it bears strong Tibetan influences; the momos were particularly delicious. Street food in Shillong was brilliant – I don’t think I’ve ever tasted kebabs like the ones there. What also struck us was the distinct disconnect from the “real world” – phones don’t work in many parts, and you won’t find many newspapers or TVs. It’s a good break from the usual chaos, if only for a short while.